This forum has a roll function that can accept d2, d3, d4, d5, d6, d8, d10, d12, d20, and d100. It comes after the send button. To use it you simply chose how many rolls you are going to make and how many of which dice you intend to roll. An example is in this thread. But you don't seem to have it when making an edit. Testing out dice rolling. And GundamChief, if you could edit your own dice rolls, then it wouldn't be a usefull function for games would it? 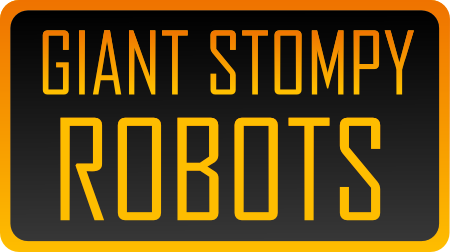 And I think I may be getting close to playability on some of it, and I want to get some beta feedback, so I'm looking for volunteers to help me out. 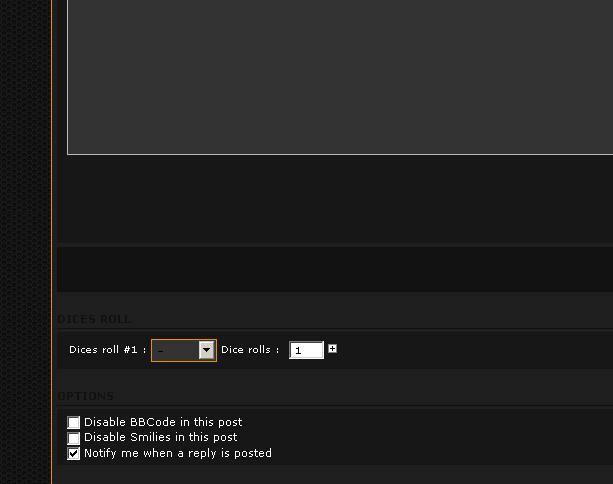 I'd like to use this forum for the testing, and actual game threads later on because of the built in dice rolls. Exactly. The inability to edit your rolls is basically a form of enforced honesty. Psyckosama wrote: Exactly. The inability to edit your rolls is basically a form of enforced honesty. Dice rolls eh? This might become useful later. Hell, I'll jump the bandwagon and test this out. Psyckosama wrote: This forum has a roll function that can accept d2, d3, d4, d5, d6, d8, d10, d12, d20, and d100. Jump to: Select a forum||--Discussion| |--General Discussion| |--Real Life| |--Natter| |--Games| |--Meka Tac| |--Roleplaying| |--Atomic Highway - Knights of the Post-Apocalypse| |--Play By Post| |--Fiction| |--Index| |--Round Robins| | |--An Entry with a Bang| | | |--Archive| |--Art|--External Content |--Links |--Deals!